12b. 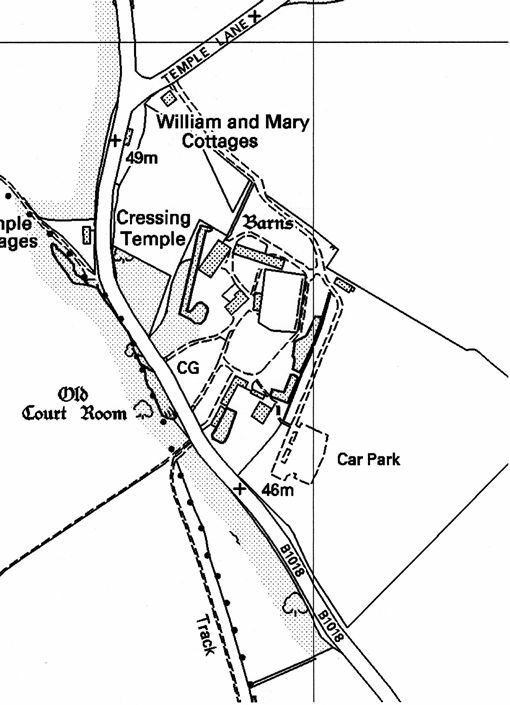 GIS generated raster plan of Cressing Temple in 1999. 12b.The underlying rasterised image for the GIS is so poor that it is useless for topographical analysis while the GIS themes still do not reflect the new visitors centre which is now two years old. (in 1999).